Spring Break!! That wonderful time of year when the weather is finally warming up and it stays light longer. It is a hint to the fun summer is going to bring and the perfect time for the family to recharge. It is also the perfect time to get head lice. Visiting family and hanging out with friends brings more opportunity for head to head contact with people. It is also a time when routines change and we may forget our weekly head checks. But fear not - Lice Clinics of America Rockville is here to help! If you get the call from friends or family that they found lice give us a call. 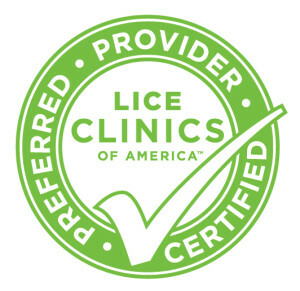 From head assessments to chemical free do-it-yourself kits to our patented AirAllé® full-service treatment we are ready every day to help you end the lice cycle, once and for all. A lice infestation doesn't have to be the weeks of combing you may have done in the past. With our heat treatment, your family can be lice free in a couple of hours without the worry that something was missed and it is going to start all over again. If you have questions, concerns or worries, call us. It is what we are here for and we all love to help. We understand the anxiety lice can bring. We have been there - and those memories don't fade. So if some unexpected visitors decided to stick around after spring break - turn to Lice Clinics of America Rockville to eliminate the infestation and worry.